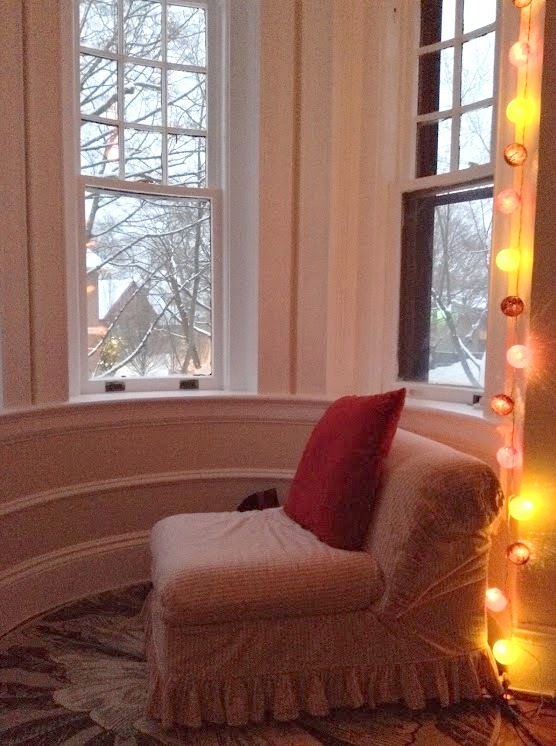 I think I started drooling over this little nook from the moment I saw the online ad for this apartment. It has finally been outfitted with a tiny chair and some colorful cotton lights so I can read to my heart's content. The only problem is the wind blowing right in from that window you see on the left...I may have to wait until Spring. For now, the couch will do. As I sat reading my book last night and looking over at the nook I started thinking about another of my favorite places involving books and reading...namely De Dry Coppen in Leuven, Belgium. Take a trip there with me, won't you? What's wrong with this picture? 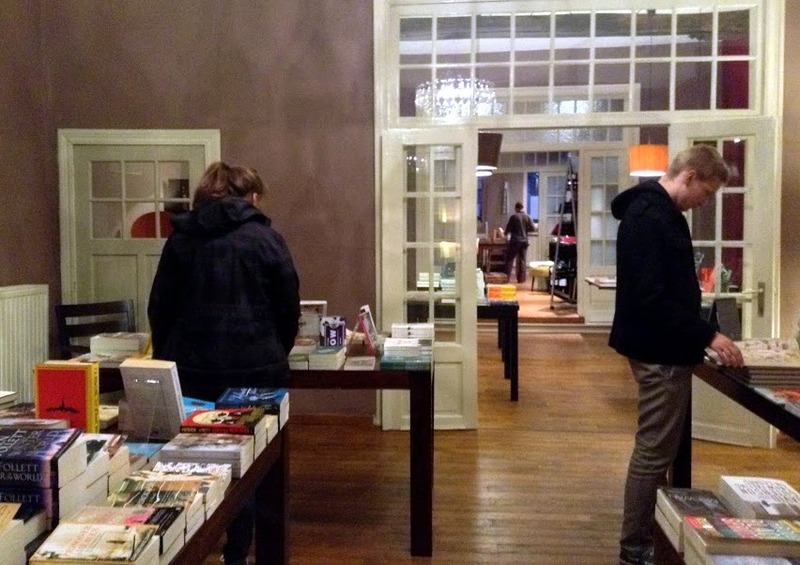 We shouldn't be able to browse through books in a cafe in Belgium right? Luckily no, wrong. This whole back section of the second floor is for English reading patrons! Lovely. Speaking of books, has anyone read a really good one lately? I loved the Cuckoo's Nest. So much so that I actually just finished it for the second time...I need to get more books on my iPod for late-night-not-to-disturb-Chris-reading. I've heard recently that The Goldfinch is spectacular. I'm going to give it a try. I'll let you know how it goes. Definitely one of the things I know I'll miss someday from Leuven; having hot chocolate and looking through books in this place. Hi Neeli! Sorry it took me so long to respond, I've been (obviously) remiss in posting often but I have a new batch of posts soon to go up so I checked in today and saw your comment. Yes we are back in the states and I'm loving it so far. It's great to be back to work :) Thanks for stopping in!